Has everybody neglected the first double stack removable magazine pistol ever? Endorsed by Col William F. Cody and "Bat" Masterson. And Jude Law in "Road to perdition". Savage 1907. One of my favorite .32 autos. 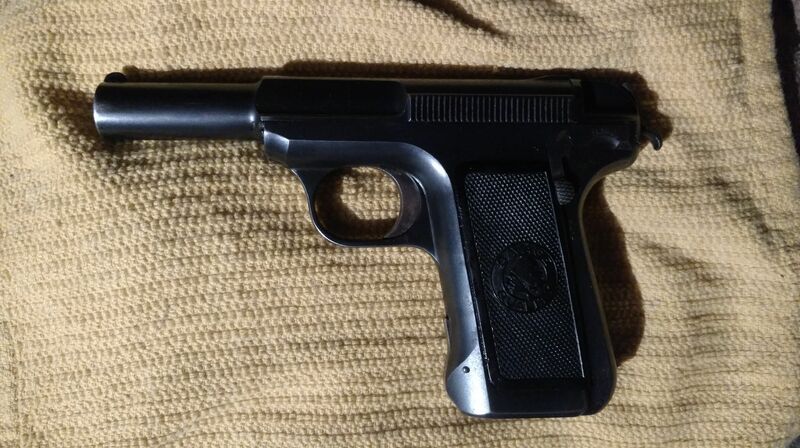 And one of the most "Art Deco" handguns ever built. And used by Portugal and France in the "War to end all wars". Do you have one with the Portuguese grips? Those are HARD to come by! Nope, mine is from the Army contract, lanyard ring, loaded chamber indicator but regular grips. The ones with the Portuguese grips are believed to be from the later (and smaller) Navy contract. My collection of Savage pistol 1907 & 1917 began not long after my home club the Sand Creek Raiders began our own Wild Bunch (years before SASS) matches. Used my first little .32 for years in those matches. How could Bat Masterson not use a Savage after doing advertising for them and writing a book (well, pamphlet really) for them about how a tenderfoot bests the toughs with his little pistol. You're definitely consistent with your name. Nice collection. 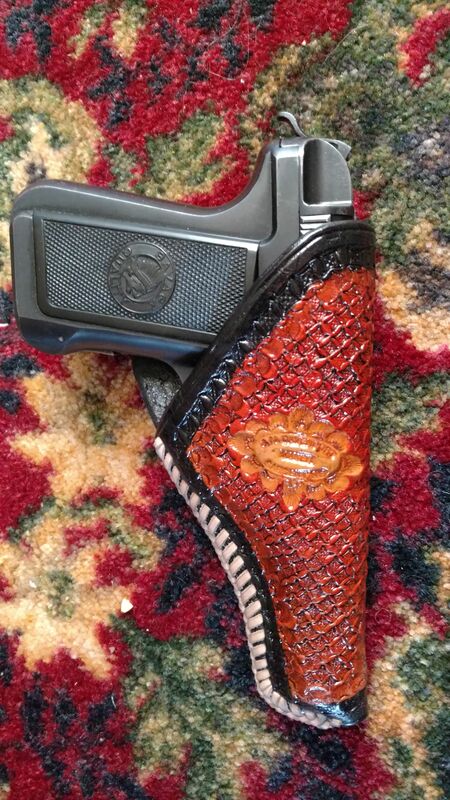 You only seem to be missing the lanyard ring version and the so called "hammerless" with the grip safety. I won't consider the Portuguese crest grips cause they are scarcer than hen's teeth. There was a .45 Savage on GB for only 25000.00. But it is supposed to be one of the guns built for the US Army trials. A true one of. Here's my latest trade. When I first saw it I thought of the Army test trials and I'd pretty much made up my mind to buy it before I realized it was a .32 instead. I haven't had a chance to shoot it yet, but it's in really nice shape. Great pistol. The machineing is a work of art. I would suggest watching the disassembly videos if you are not familiar with them. They are easy to take down but do have a couple quirks. Made a holster for it this weekend. Not my best work but it will serve. By Harry but that is a nice holster for a really interesting gun! Definitely a fine job on the holster.